That is so unique, whoever made that is very creative. 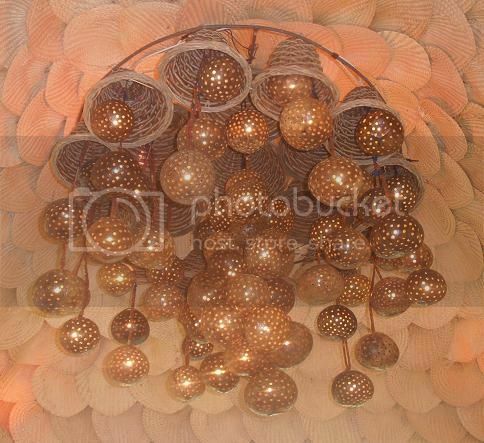 That was a great masterpiece by using coconut shell in order to create a unique kind of chandelier. Thumbs up and good job for those who made those nice decoration! Ohh wow that’s an awesome looking chandelier! !